created a spectacular pink snowflake card. 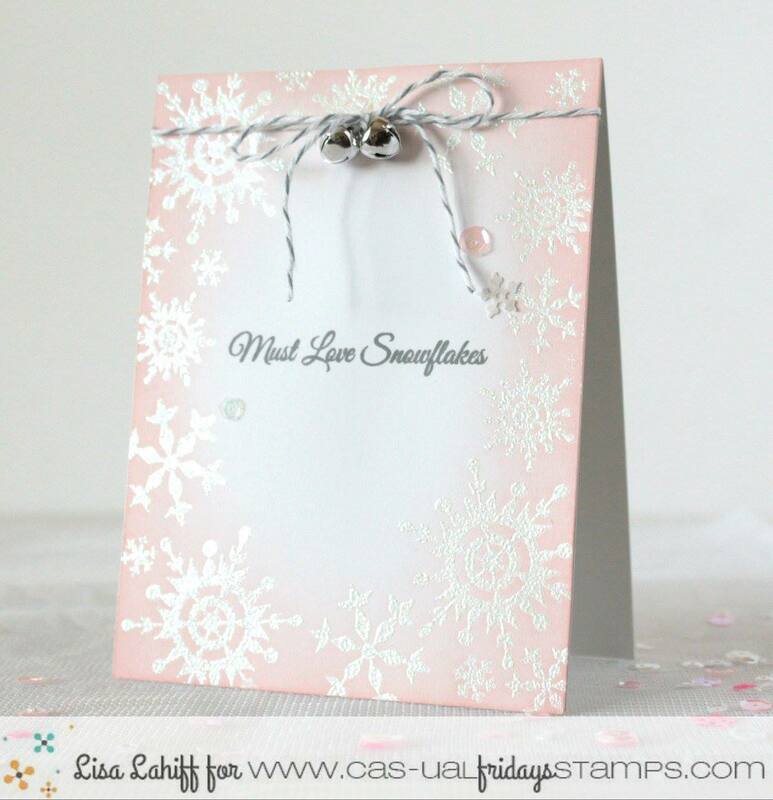 To create this card I used the Must Love Snowflakes Stamp Set and stamped and heat embossed the snowflake images around the outside of my cardbase forming a frame. 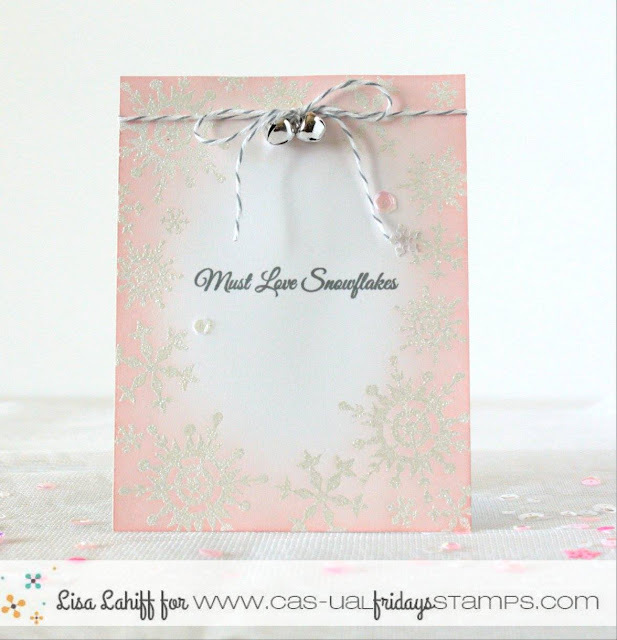 I then used a blending tool and a light pink ink to fade some color towards the center of the card. I then stamped my sentiment in a gray ink and finished the card off with twine, jinglebells, and sequins. Only 2 more days til we start showing you the new October stamp sets! Join us on October 17th! So pretty. So soft and lovely! Adore the Soft shimmer Lisa!! Beautiful card. I am going to use this technique. Thank you. yay! So glad I inspired you! So soft and pretty. Love everything about this card! Thanks for sharing with us.